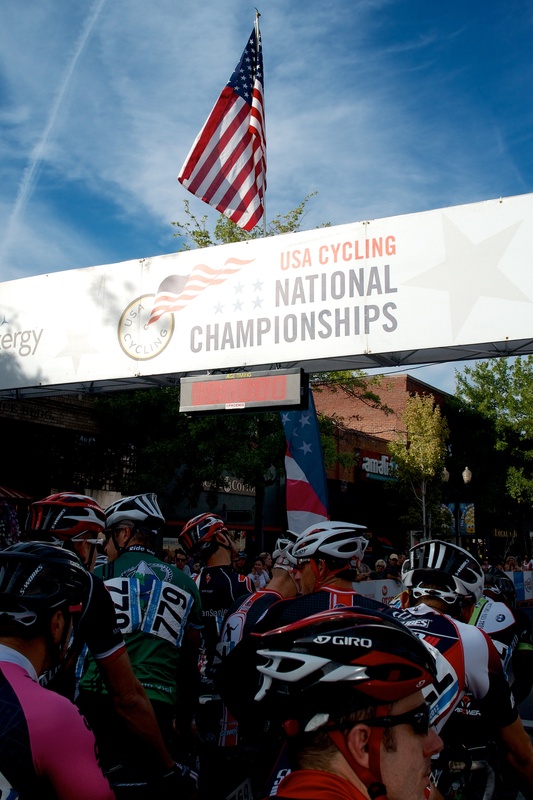 When wheels get skipped at 30+ MPH anger gets tripped and that was the story from Masters Nationals in Bend. A flowing, fast chicaned course with uneven pavement made lanes change instantly and tempers flare with them. 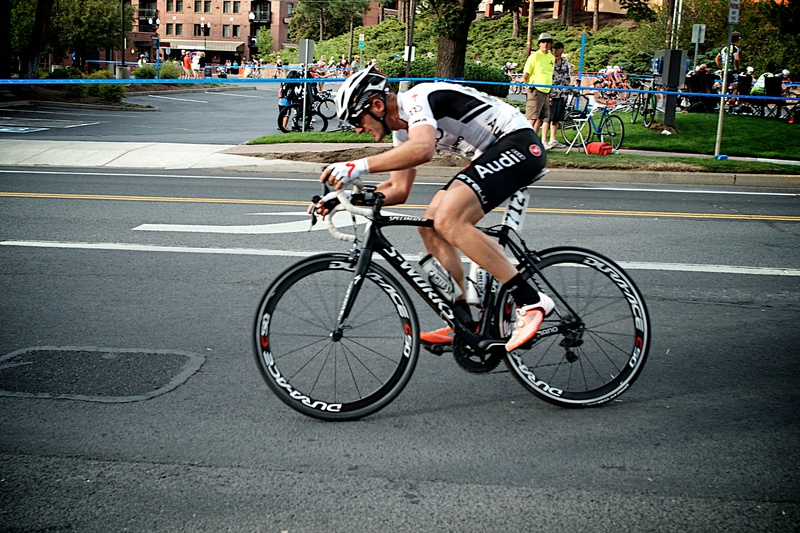 When a good chunk of the pack went down in the Mens 45 – 49 race, fists of fury got thrown before the pedals turned again. It was so rough and tumble that later in the Mens 35 to 39 race, the announcer called out a team for their tactics. 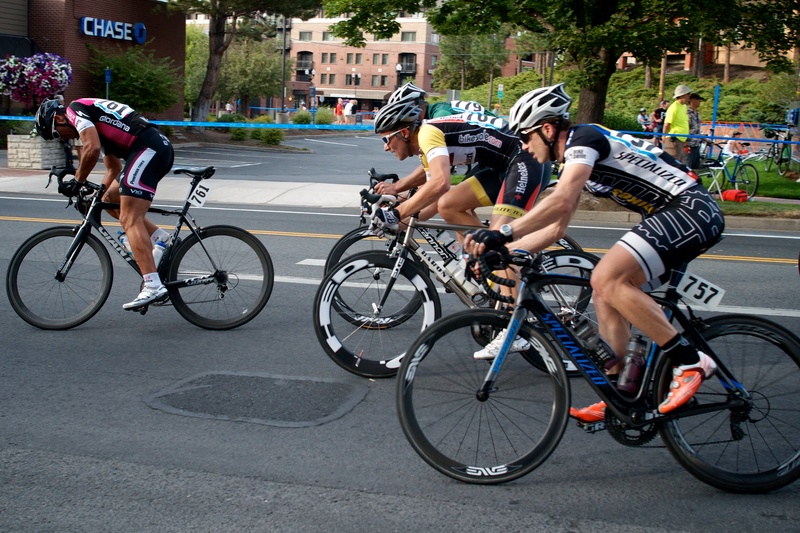 It’s gets old seeing a team defend their lead by chopping wheels, braking at the front, and taking the turns wide. One of the sketchiest crits I’ve done in a long time. On the deck twice, chopped every lap then nearly taken out in turn one of the finale. 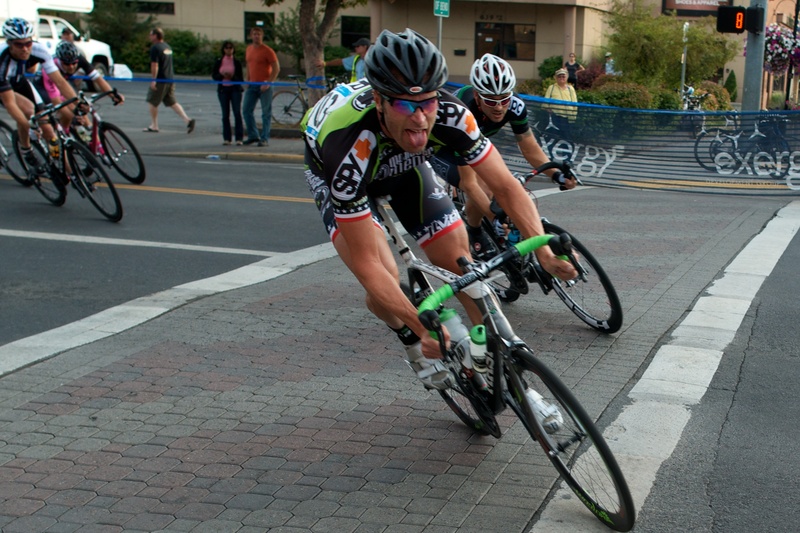 .. a guy goes off the front to “burn himself out.” Then SC Velo imploded and couldn’t control the front. 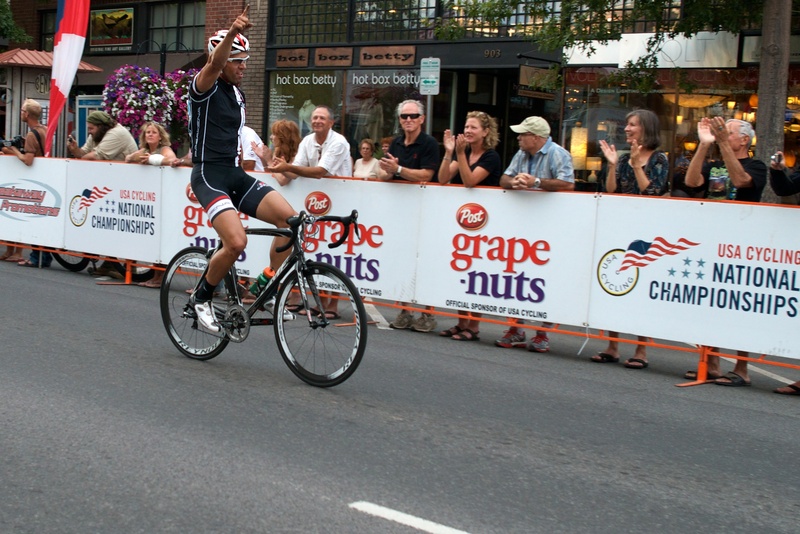 The off-the-front guy stays away to claim the win solo, and Leo Grande raced more negatively than anyone I’ve ever seen. 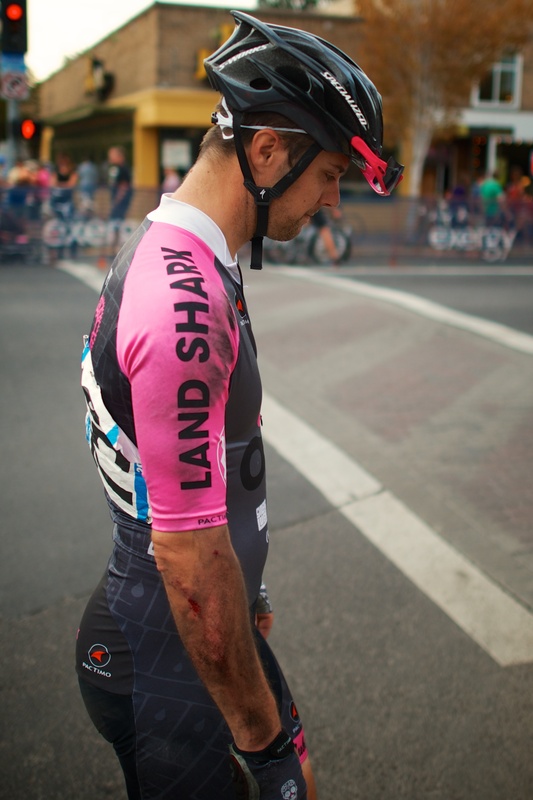 Nerves, ego, and pressure to win a jersey combine to make a race so hectic, afterwards those that crashed walked about wandering what had just happened. Like they’d lost a tiara to Honey Boo Boo. Michael Easter won is what happened after taking advantage of a late crash, building a lead, and holding it while those behind couldn’t get to him. 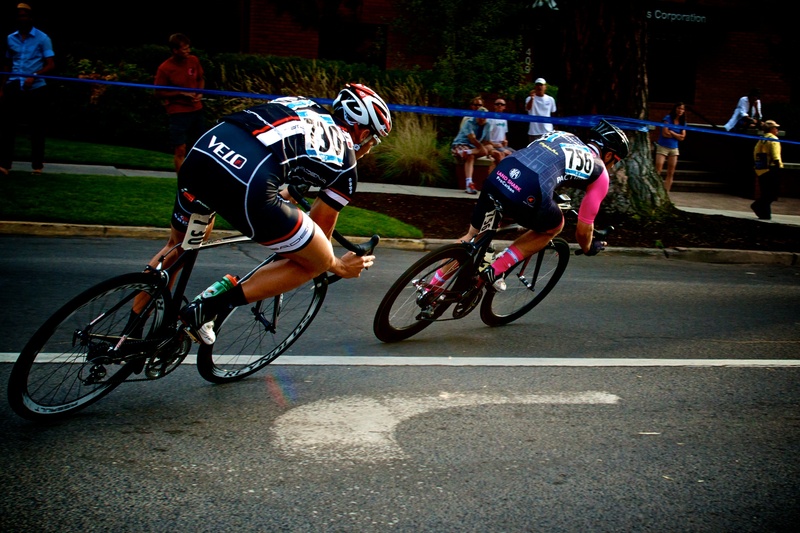 See more photos from this race lightboxed on G+ and Flickr in high rez. For a post about my race, see Pam’s Podium Shoes.